A long time ago, way before Facebook and Instagram, and when no one had even considered Snapchat, there were blogs. One day, bored at work, Momo, a typical twenty-something, discovered this curious new underworld of secret diaries. Soon she’s living her life online, baring her soul and relationships, equal parts funny and pitiful. With blogged stories and anecdotes spanning a freakishly well-remembered childhood and her then-present, Momo’s blog life opens doors, eventually taking her from being a young book editor in Melbourne to an English teacher in Tokyo navigating earthquakes from under a table. 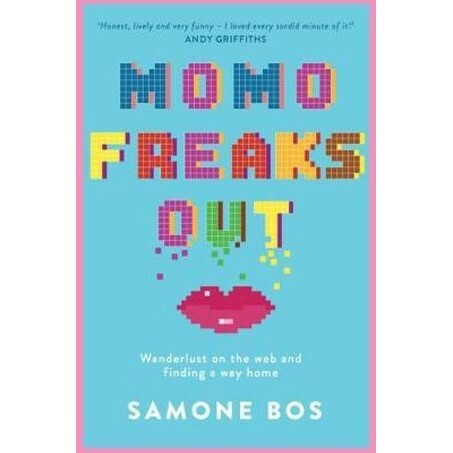 Momo Freaks Out represents a time, a subculture and a whole lot of silly hijinks in a decade that seems both very recent and distant.